Sometimes I like to get creative. It’s rare (especially when it’s so cold everyday) but I’d been seeing a couple of houses with holiday wreaths on their doors. 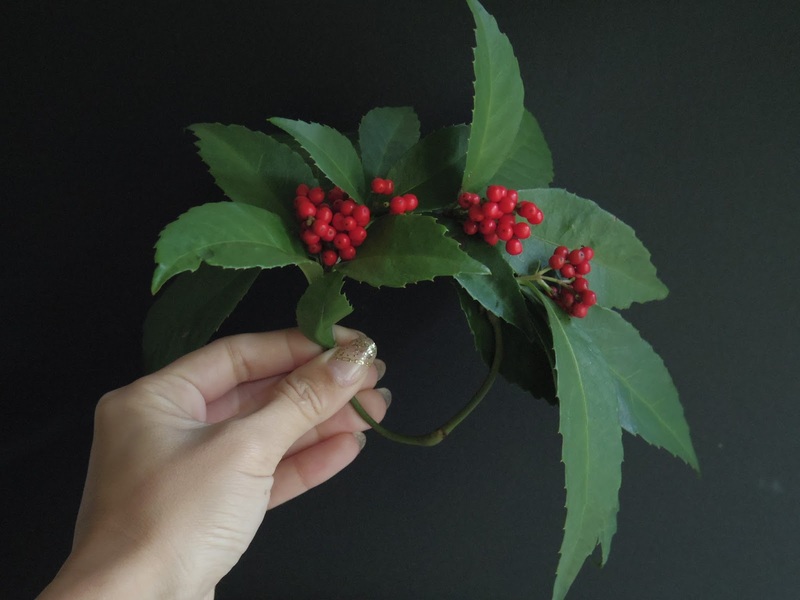 So when I saw these holly-like plants growing in the garden, I decided to make a miniature wreath from them (inspired by these mini holiday wreaths). This plant is called Sarcandra glabra, which we call Sen-ryo in Japanese. 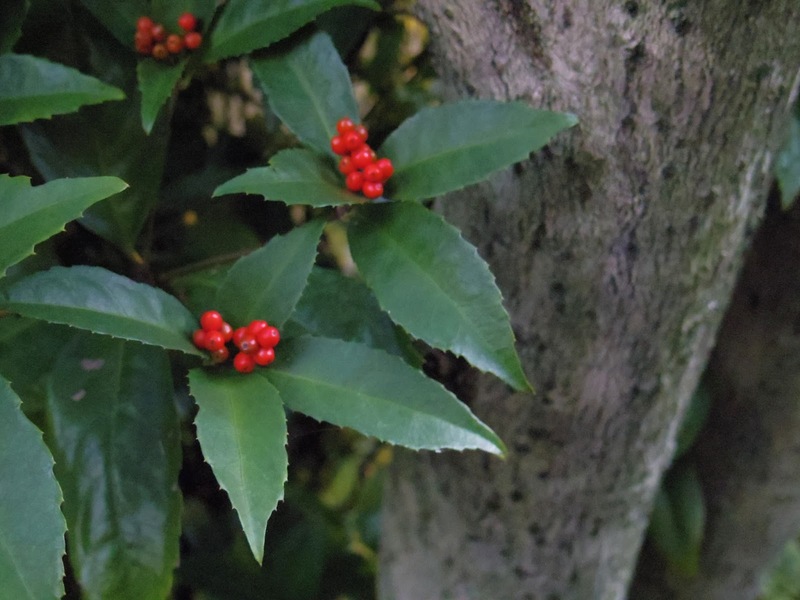 It’s a plant native to asia and I see them a lot in parks and gardens. 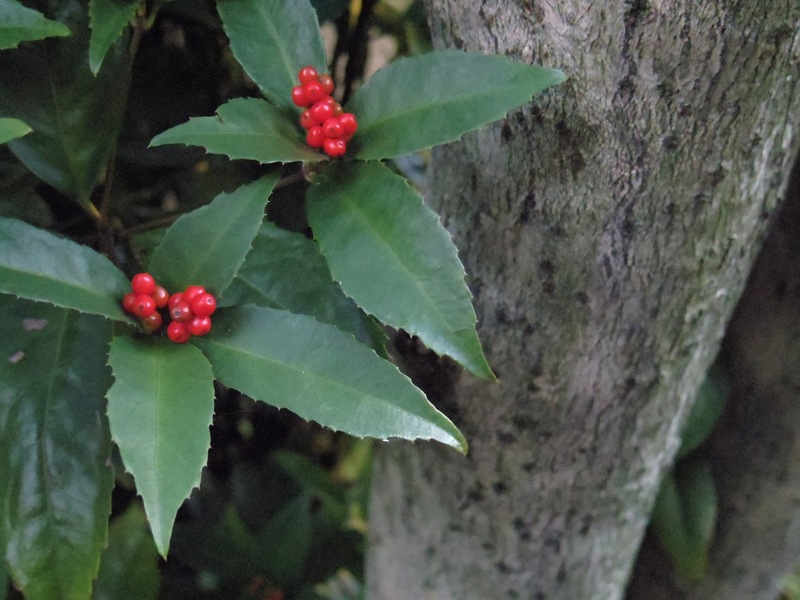 In Japan this plant has been considered a new years good luck plant for centuries. For one, the name Sen-ryo (千両) translates to thousands of ryo (ryo being the currency during the edo period), meaning wealth. The fact that the red berries grew during the new years season also factors in (red was considered a celebratory color). 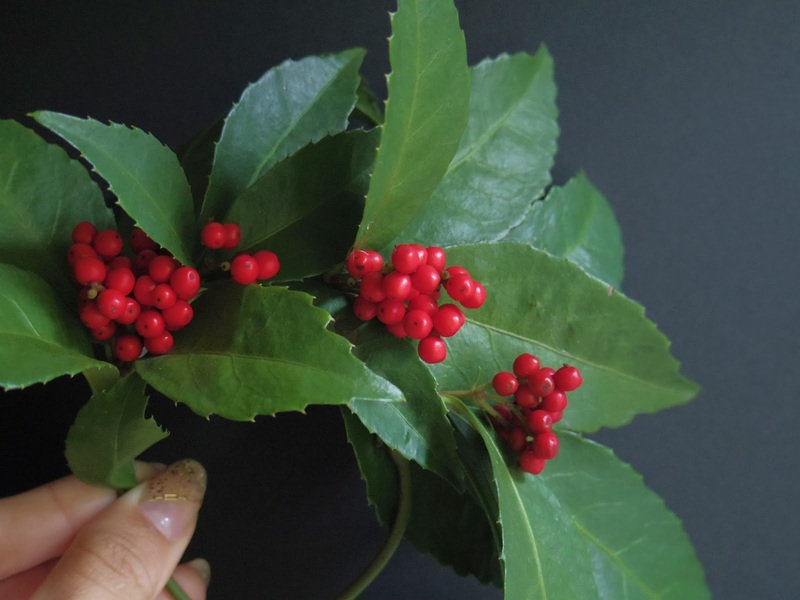 Many Sen-ryo plants are used in flower arrangements during the holiday season in Japan. How about a piece of string taped to the back side of your door, then loop the string over the top of the door and tie it to the cute little wreath on the front of the door, or tie the string to a bent paper clip that could act as a hook with a circular loop at the top to tie the string to? Instead of tape you could even tie string to the door knob and then angle it so it goes over the top of the door at the center (with tape to keep it centered?). Very nice plant , and interesting post ! Thank you! I like glittery nails sometimes. I had to hold it up because I didn't have a hook. haha. I love that you went with the idea and made it your own.